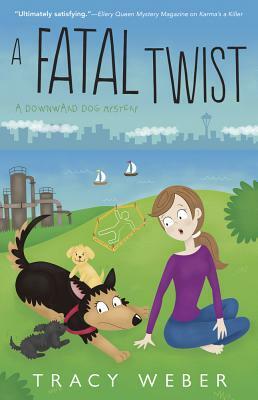 Yoga instructor Kate Davidson's life takes a chaotic turn once she agrees to not only be the doula for her pregnant best friend, but also play foster mother to two puppies. The chaos gets worse when Kate finds the dead body of a philandering fertility doctor and sees Rachel, one of her yoga students, fleeing the scene. Kate is convinced her student is innocent, and she sets out to find the real killer before her testimony condemns Rachel to a life behind bars. But her hands are full with caring for three dogs, teaching yoga classes, and gaining an unexpected crime-solving partner. If she's not careful, Kate's next yoga pose may be a fatal one.